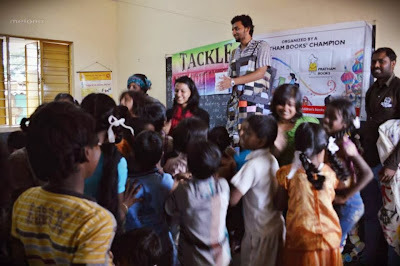 Naveen Thomas from Headstreams sent us the following images of the 2 sessions conducted at the Tackle Carvans. 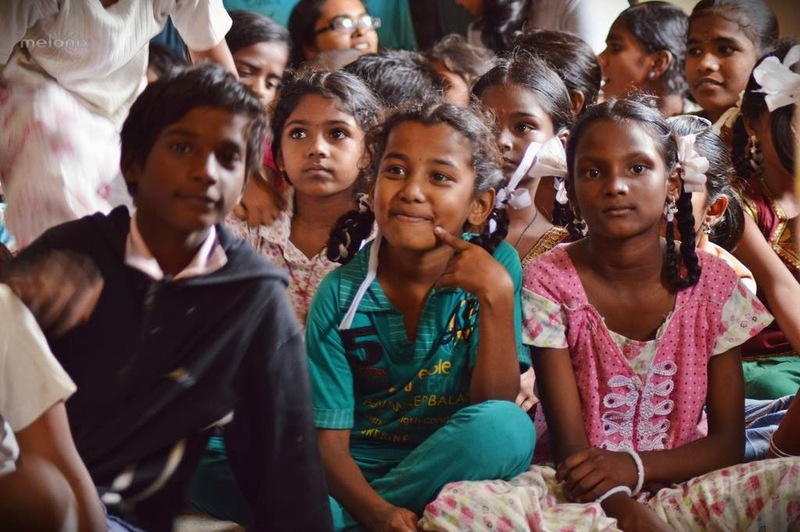 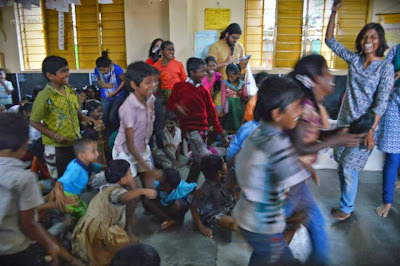 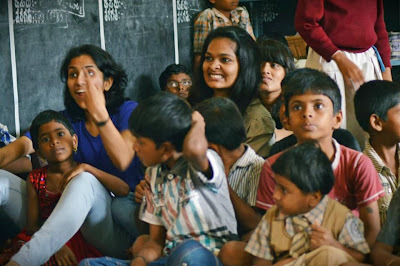 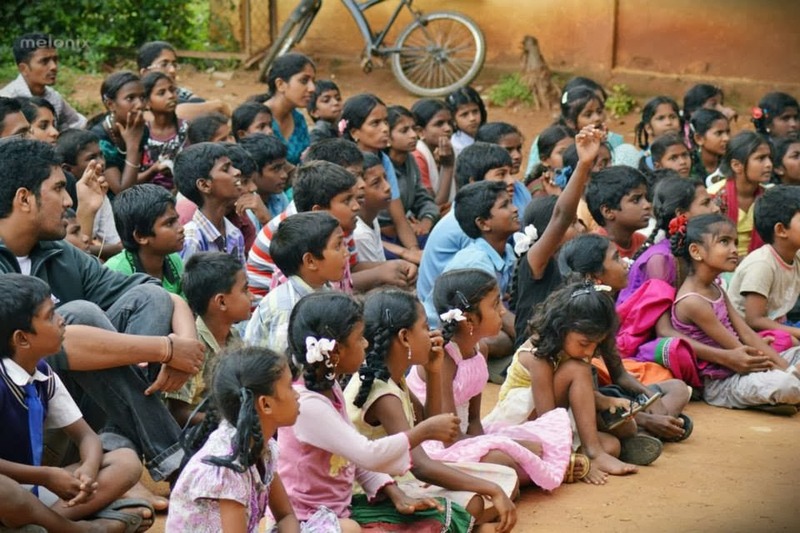 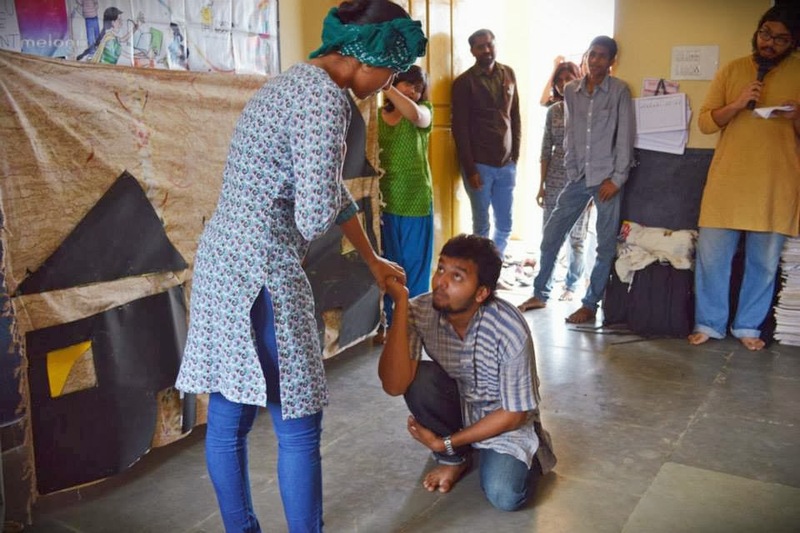 Over 160 children from A Narayanpura, Nellurpuram and surrounding areas in Bangalore witnessed ‘Paplu the Giant’ – an interactive story reading and play performed by the Headstreams team at the Tackle Caravans on September 7. 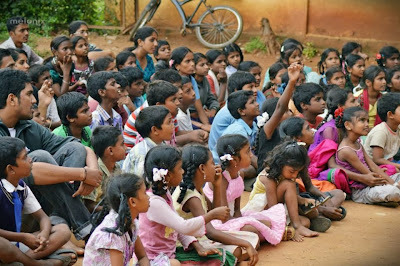 It attracted children from low-income backgrounds who reside in the area. The reading of the book ‘Paplu the Giant’ was done by Vinay, a team member of Headstreams. 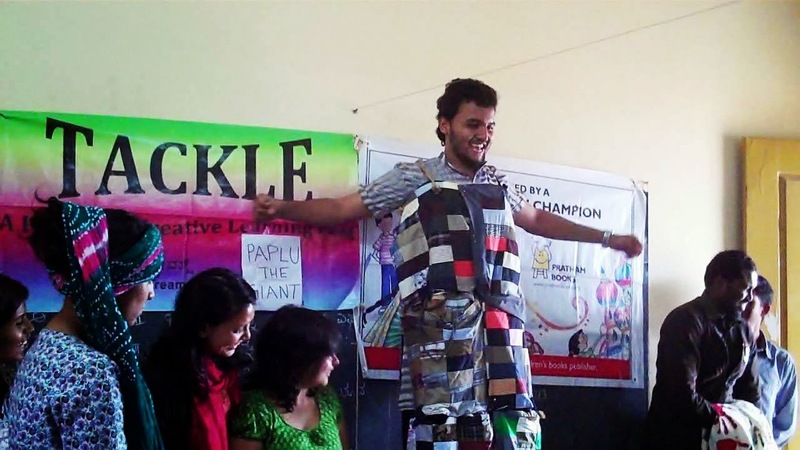 The book is written by Ramendra Kumar and illustrated by Zainab Tambawalla. The story is about Paplu, a strange giant who did not like to fight with anyone, nor did he like scaring people. 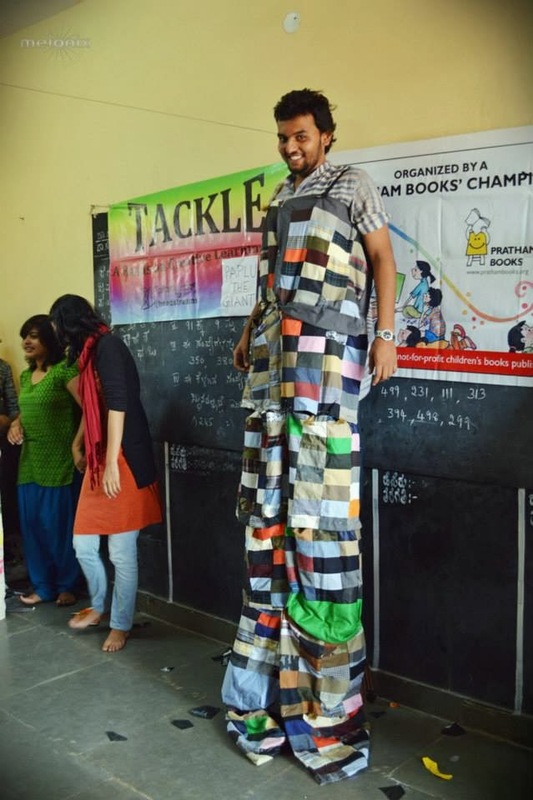 But when his beloved villagers were in danger, he rose to great heights to solve the problem. The sessions by Headstreams to commemorate International Literacy Day was part of a national initiative by Pratham Books where the same book was read in over 25 languages in over one thousand storytelling sessions held all over the country on September 7. 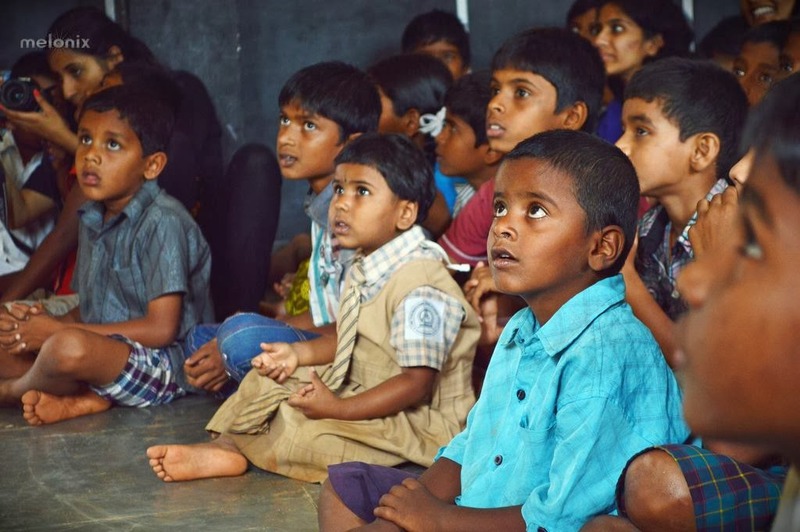 The Tackle caravans will soon feature a library of children’s books in Kannada and English as part of a grant by Pratham Books. Dr. Naveen I Thomas, the coordinator of Headstreams said, “These high quality books have been carefully created to promote love of reading among children. 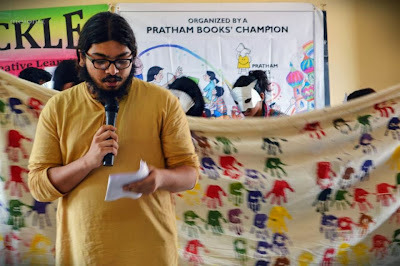 It promises to be a real treat for children attending the Caravans.” The kids enjoyed listening to the story and appreciated the way it was narrated by Vinay. Thank you Headstreams for spreading the joy of reading!